This was one of the cards we put together at a recent class. 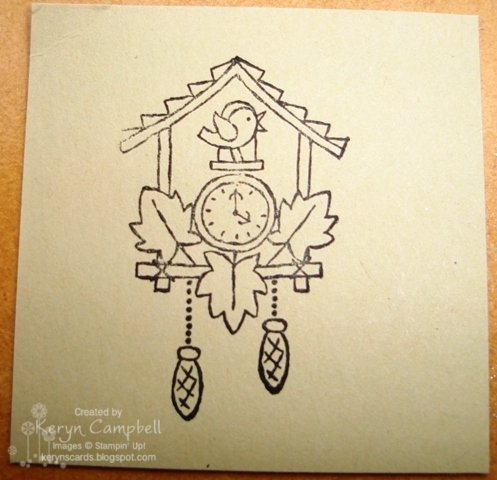 The instructions told us to stamp and colour the full image then cut out around the clock piece and adhere to the whisper white cardstock circle. 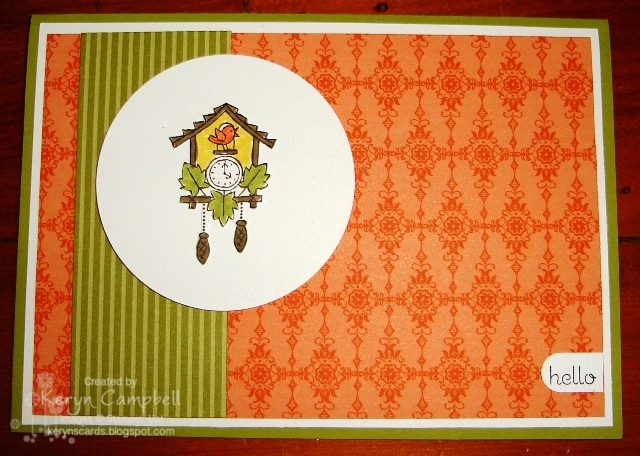 It would have been a struggle for the beginner cardmakers. 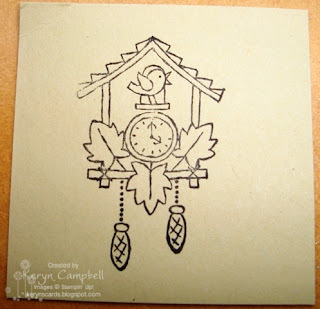 One form of omitting that I think most of us use is to ink just the pieces we want on an image with Stampin' Write (brush) markers, but what do you do when you want the image to still be stamped in Stazon Jet Black ink. This is what the complete stamped image looks like. To remove the hello I covered it with a piece of sellotape (sticky tape). I used removable tape but it doesn't need to be. 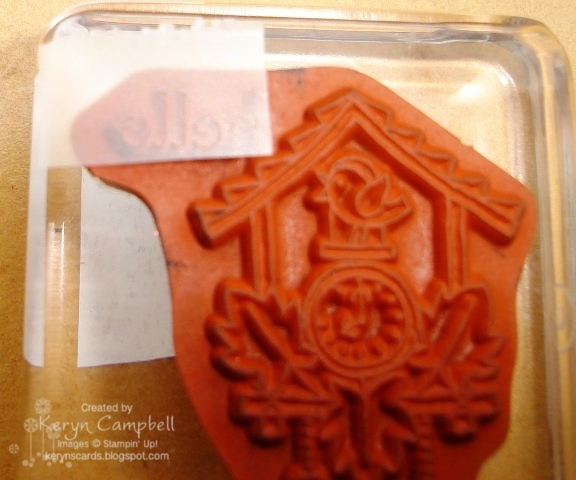 Ink your stamp as usual with the tape in place. Make sure you remove the tape before you stamp your image. 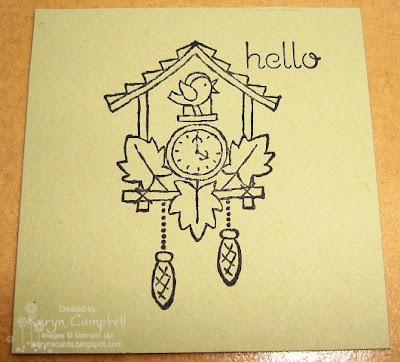 For the card above the ladies at the class stamped their image like this, coloured it using Stampin' Write Markers and punched it out with the 2 1/2" circle punch. No cutting involved. I hope this helps you get more use out of your stamped images.